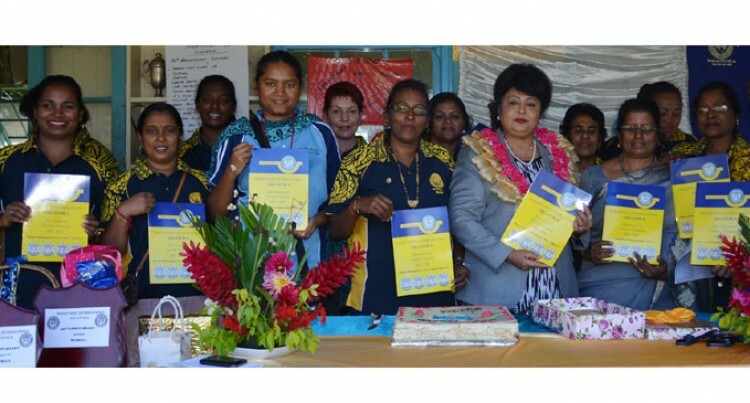 The Soroptimist International Sigatoka celebrated its 20th anniversary with a magazine launch and an open day held at the Saint Joan of Arc School in Sigatoka last Saturday. SI Sigatoka member Suman Lata Lal said the successful 20 years anniversary was a proud moment for the members. “We have completed our 20 successful years in service to the community of Sigatoka and to our nation,” she said. SI Sigatoka believes in networking so it wants to continue with health programmes in communities. “Non-communicable diseases (NCDs) have been a prime project along with cancer-related issues among women,” Ms Lal said. The organisation has conducted testing clinics for pap-smear and NCDs in rural Sigatoka. The team wants to start with a project that provides solar lights in rural areas. “We have adopted Navosa province as our pioneer project area for this solar project,” Ms Lal said. Another priority area the team wants to focus on is the Nadroga women’s forum, which it is currently working towards. “We are working with the Department of Social Welfare and the women’s interest department,” Ms Lal said. The magazine was sponsored by Sigatoka Motor Spares Limited, Tappoo Group of Companies, Jack’s of Fiji, Coastal Rentals, Care Chemist of Sigatoka, Sandy Point Beach Cottages, Vilisite’s Restaurant, Family Clinic and Dental Laboratory Limited, VanMed Labs, The City Star Newspaper and BL Naidu. Magazine editing was strongly supported by Keshvi Lal, who is a member of SI Sigatoka.